I am going to take you step by step through the grain filling process here at Huffman & Co. Custom Guitars. It does not have to be a pain like some do it yourselfers make it out to be. With the right products and process it just takes a little time. There are many grain filling products out there Aquacoat is what works best for me in most cases. 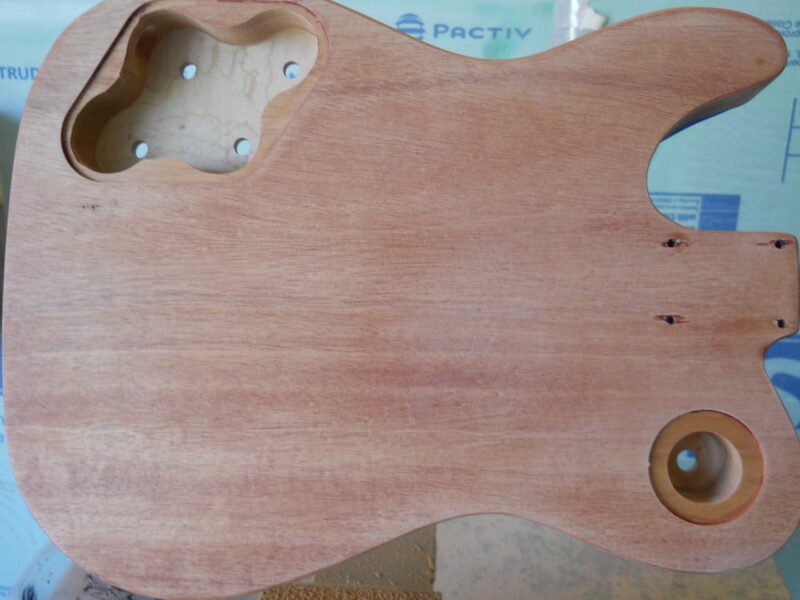 The body I am filling today is mahogany and the end finish will replicate that of a cherry back Les Paul therefore I will be adding the TransTint red mahogany dye to the grain filler to darken the grain. In step one we have the one piece mahogany back TelePaul. 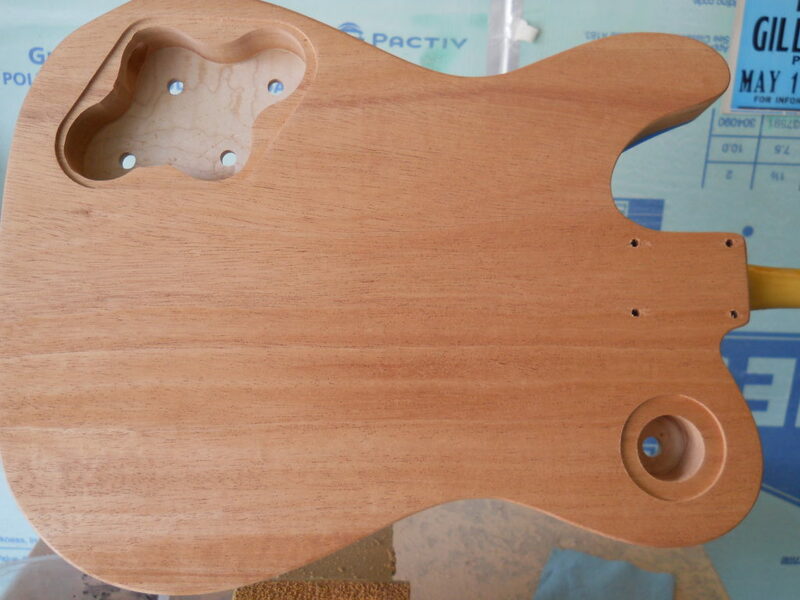 This has been sprayed with a thinned wash coat of sanding sealer. 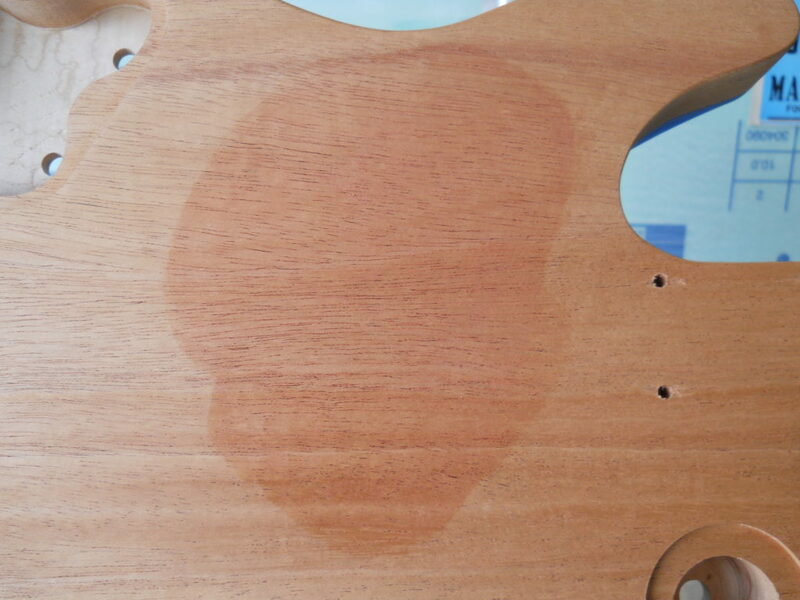 The reason for this is it protects the wood from being stained by the dye. 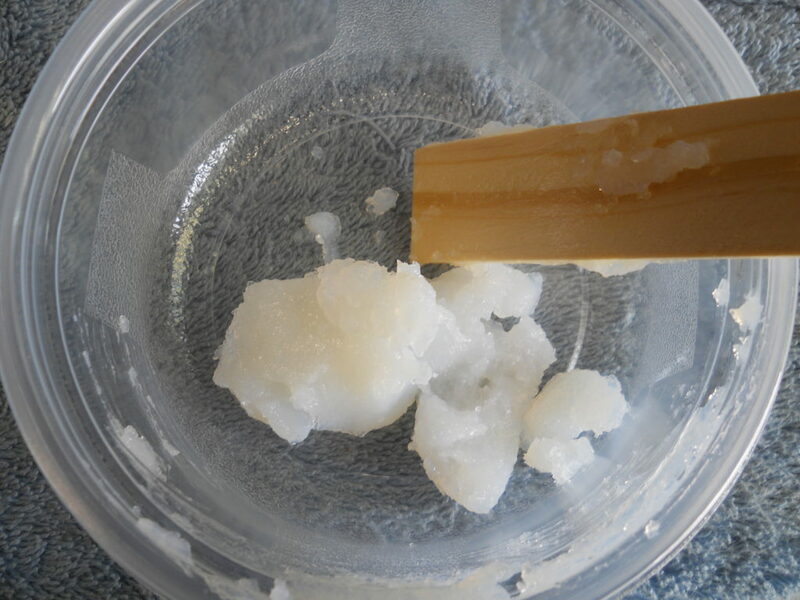 The grain filler and dye mixture will only go into the pores. Here is the grain filler. 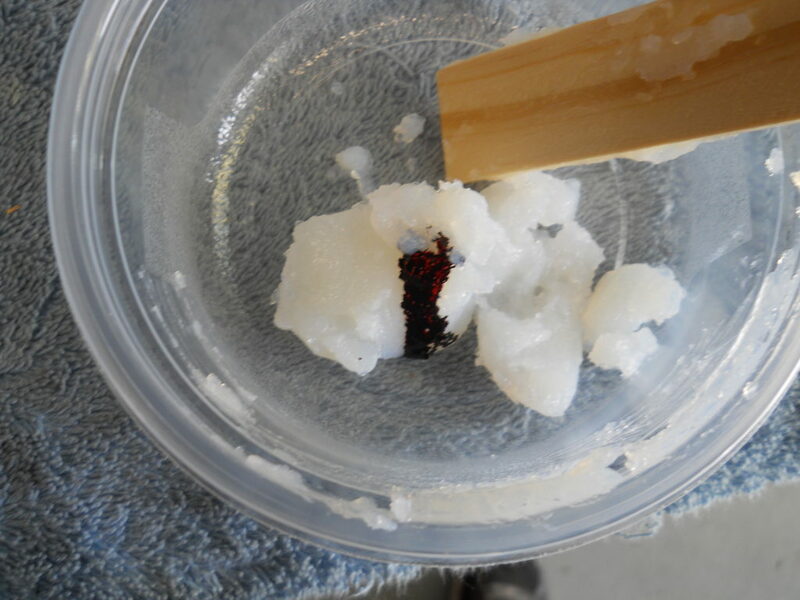 If you want you can thin it down some with water as it tends to be a little like gel. Now add just a couple of drops of the dye. Remember a little goes a long way and you may want to wear gloves. 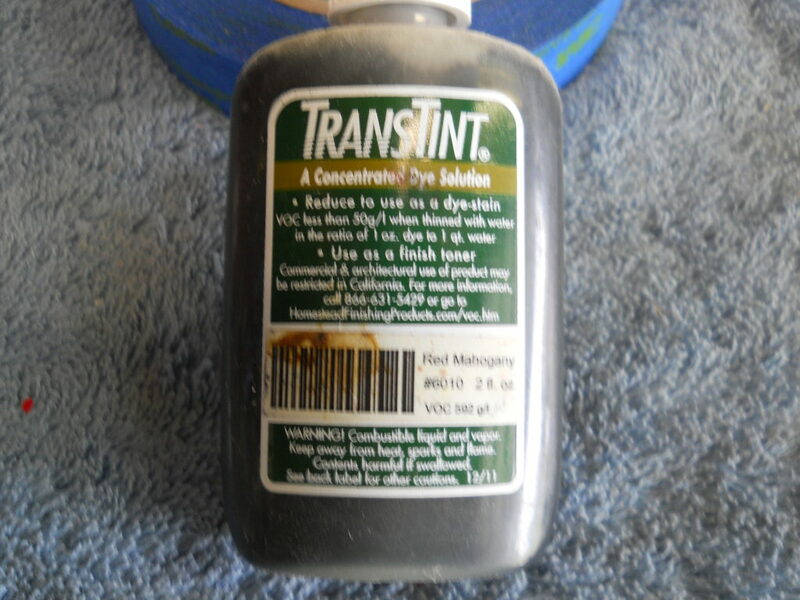 If the dye get on your skin it can be tough to get off. 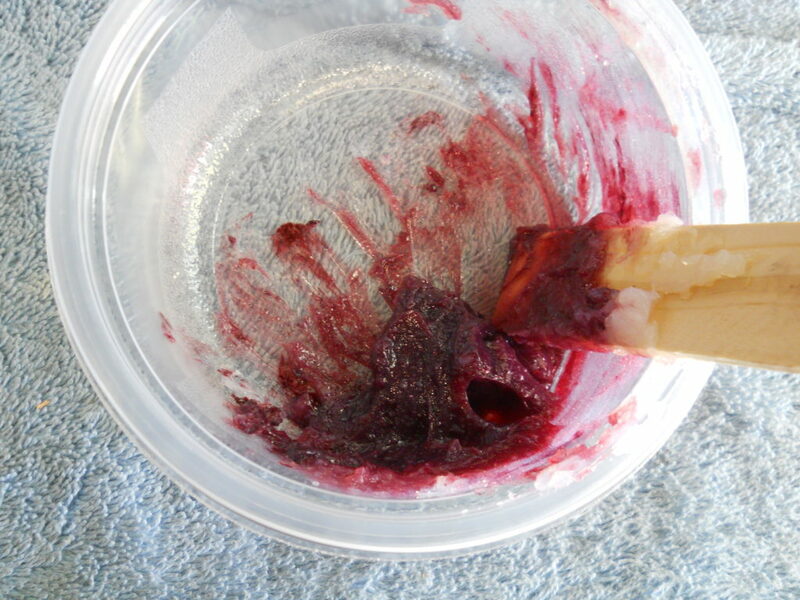 You can just use a paint stick to mix the dye and filler together. Mix this very well. For this application I choose to just rub the filler on with a paper towel. You can use a squeegee as well. 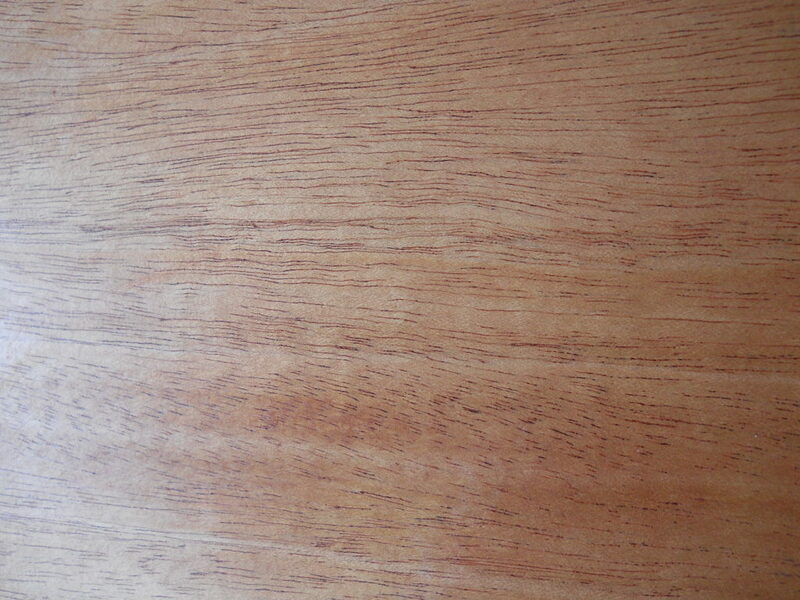 You can see how it darkens the grain a deeper red. Now the whole back is covered with the first coat of filler. This is exactly what I’m after. I have sanded the body lightly with some 320 paper and now I’m putting filler on again this time without the dye. I have all the dye in the pores I need so from here on I will just be using the grain filler clear. There is not a set amount of coats that it takes to fill the grain. On this particular piece It took three times of filling and sanding. 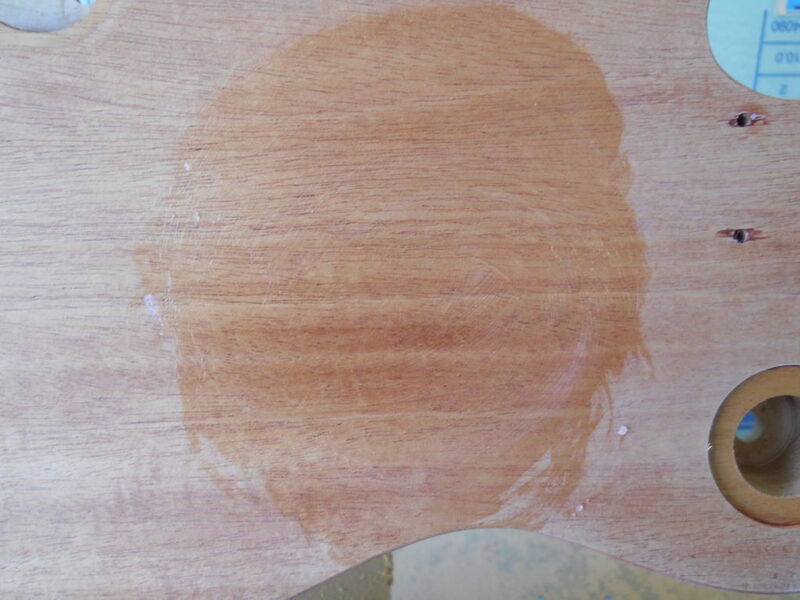 It may take more on wood such as swamp ash and I would recommend thinning the grain filler for ash as well. There it is that’s all there is to it. 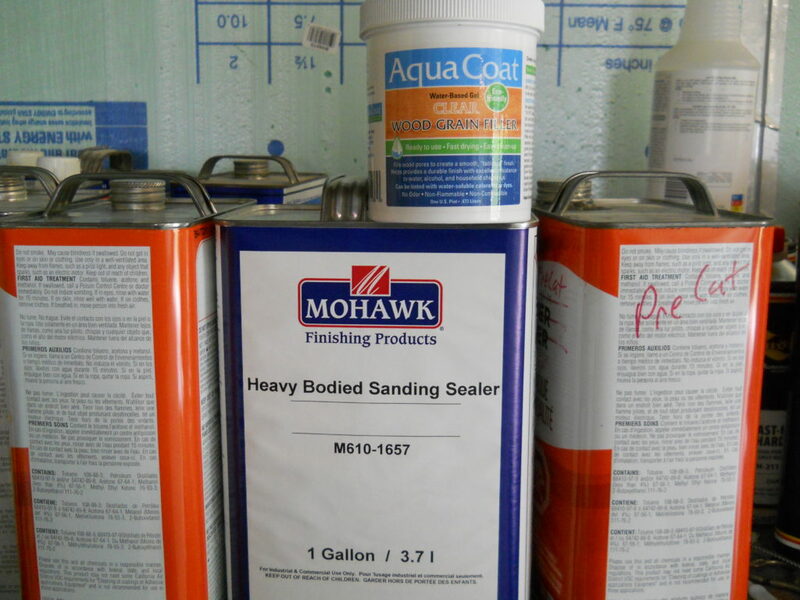 Between each application of filler it takes about an hour of dry time before you sand so you are looking at about three to four hours of work. It may not look like much now but when I apply the cherry tinted lacquer these filled pores will darken even more giving me the look I am after. You can see how that looks in my next blog post “Anatomy Of A Sunburst” where I will take you step by step of how I will do the burst on this.